The Homebound Ministry provides Holy Eucharist to those who are unable to attend church and receive Communion, because of a chronic illness, temporary illness, surgery or are restricted to their homes. What is the Scope of the Ministry? Volunteers who are Eucharistic Ministers can deliver the Holy Eucharist to those who ask, and training is offered to our ministers. Our intent is to visit those in Nursing Homes as well as those restricted to their own homes. Homebound includes those parishioners who cannot easily get out of their homes due to temporary or chronic illness. How Do I Ask for a Visitor from Church? Simply email homebound@santateresachurch.com or call our Parish Office at 408-629-7777 Ext. 109. What Do I Need to Do to Volunteer for This Ministry? 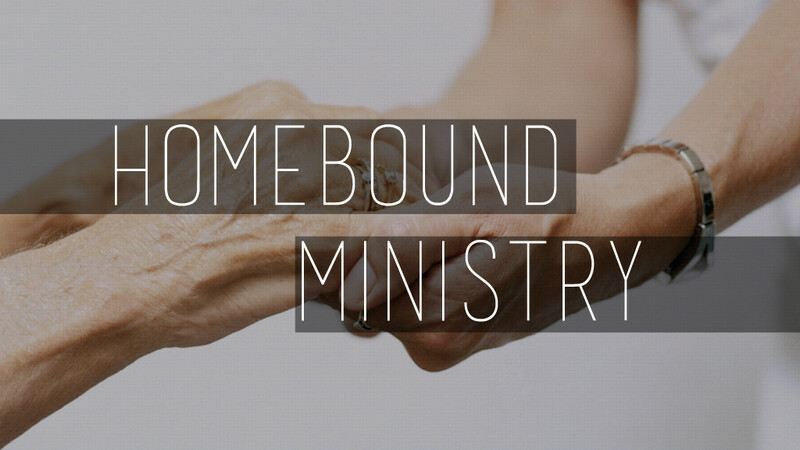 The Homebound Ministry is always looking for individuals interested in volunteering. To volunteer, please email homebound@santateresachurch.com or call the Parish Office 408-629-7777 Ext. 109, or check the bulletin for contact information.